In hopes of getting some of you to buy the movie when it comes out on Blu-ray and DVD next week, Warner Bros. has decided to make its own supercut of all the times Tom Cruise's character dies in Edge of Tomorrow. If seeing Cruise get killed over and over again doesn't make you want to watch this movie, nothing will. 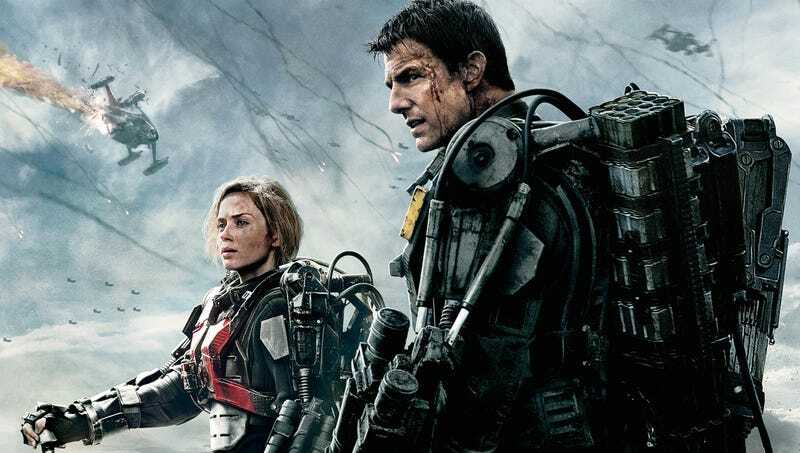 Seriously, one more time — if you missed Edge of Tomorrow (the movie the studio occasionally would rather you know as Live Die Repeat) — you missed one of the summer's best movies and one of the better science fiction films of recent years. We can't recommend it enough.